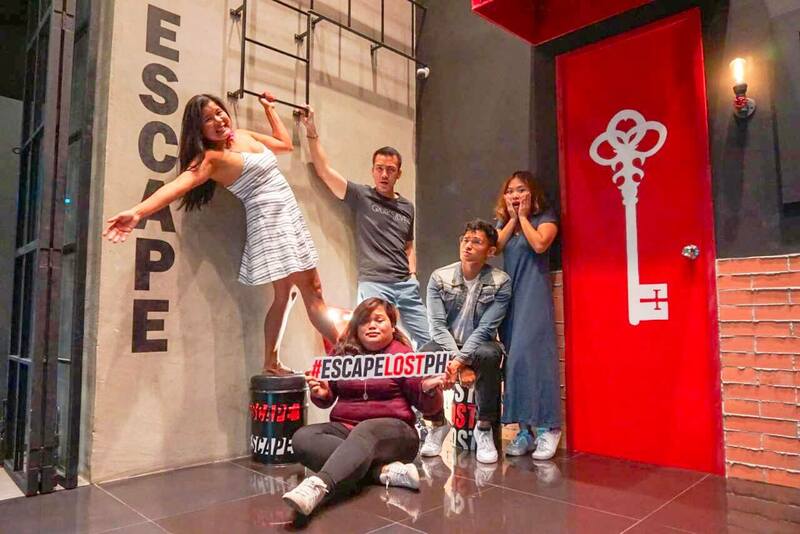 Escape room games! I found myself being addicted to them this year. 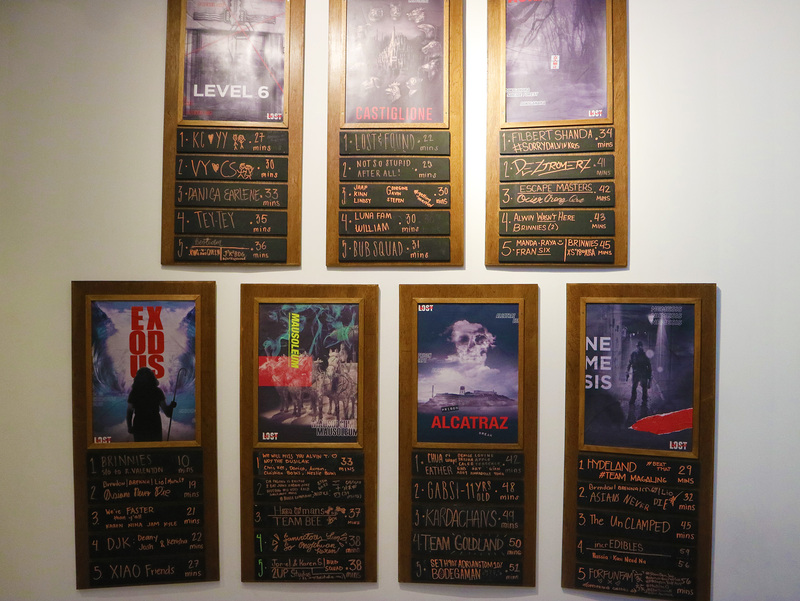 We first had our taste of these perplexing puzzles in Poblacion, Makati. We passed by one during a staycation, and decided to play. 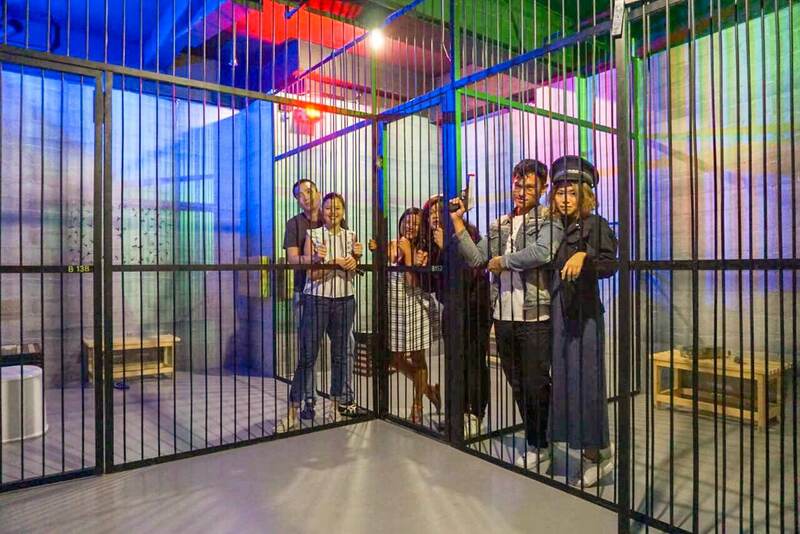 We had another in Bangkok’s Ticket to Mystery, which was also really cool. 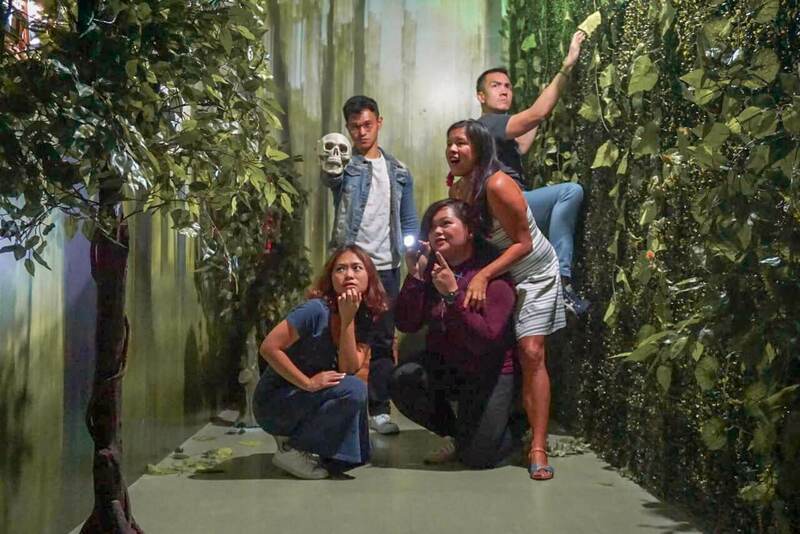 And this time around, we did the latest Escape Room in Manila: Lost Philippines. Last May, I went to Hong Kong with Jo and had a taste of Lost Hong Kong. I’ve mentioned in a previous post how we were supposed to go for a hike that day, but then the weather was terrible so we had to look for an indoor activity instead. Lost did not disappoint! Recently, I learned that Lost has also opened a branch in the Promenade, Greenhills (near the Cinema). Lost Philippines promised to bring this world class experience close to home. The moment I found out they’ve opened, I called to schedule a game! We formed a group of six, and we were all super excited about it. We booked two rooms: Aokigahara and Alcatraz! Supposedly, the suicide-forest themed Aokigahara was the easier of the two. We had 45 minutes to escape, but we found some tasks were unexpectedly hard! We had to get more hints, but the whole game was fun anyway. Really, this was supposed to be our “warm-up” for the harder Alcatraz! 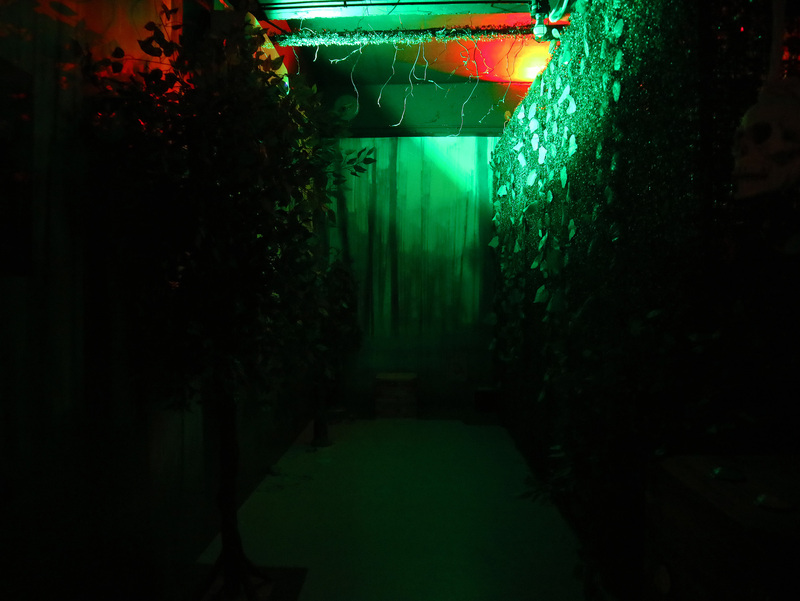 Aokigahara presented a lot of challenging problem solving. Which was complicated because the reasoning behind the puzzles weren’t as straightforward as we would have thought. We even had some help from the game master. But we still failed to escape with our lives. Nevertheless, it was an enlightening experience while being fun. Who knew the six of us had such different brain waves! It was a good challenge knowing when to give each other a chance to think and solve something. Come to think of it, our luck partly held and we did progress quite far. One of my friends, Miguel, felt we were so unaccomplished however. At least we were able to divide and conquer properly, with one person doing the dictating, someone else manning the light, another doing the problem solving. Even if Aokigahara was a fail, we managed to interact well and I’m glad I had these guys to play with. We swore we’d have our revenge on the second game, which pits us against the legendary prison of Alcatraz. We were hyped! This one turned out to be a whole new level of exciting since we began locked in three separate cages. We were lucky there were six of us, so there were two in each cage. Each of the cages had puzzles that needed to be solved before we can get out. The thing is, some puzzles are not meant for your cage, so you would still need to solve things as a team! Tina and I were in the middle cage so we acted as a bridge, conveying clues and whatever we can see to and fro until everything fell into place. Even when we got out, we still helped each other. Now that’s team effort! The 75 minutes allotted for the game went by quickly. Tina and I got out first (with some good help from Raina). Harvard coached us in the memory game, where he gave a crash course on techniques (he saw us struggling from the beginning!). From the outside, we can see the bigger picture of the puzzle so we were able to help Raina, Harvard and Mia. I realized we had a much better teamwork in this game than in the first one (so it was a warm-up, after all). The feeling of helping each other out and succeeding in doing so was euphoric! In Aokigahara, we were all trying to lead because of the incomprehensible nature of the puzzles. For this one, we fell exactly into place. We felt exactly like what Clint Eastwood’s character in that Alcatraz movie would have felt when he finally did the improbable! We finally got into the bigger room where all our team efforts came to full force. Eventually, we were able to escape! We really were lucky there were six of us, as it was much easier that way. Okay, maybe not a pro, but I learned enough from these experiences to give the following surefire pointers! This is why it’s so important to play with friends, or at least people you are comfortable with. As a team, you should know when to divide and conquer, heading out to different tasks and solving different pieces of the puzzle. Having everyone gang up on a small puzzle is a sure way to waste your minutes! You should also know as well when to combine your efforts and put the pieces you have gathered together to solve a bigger puzzle. 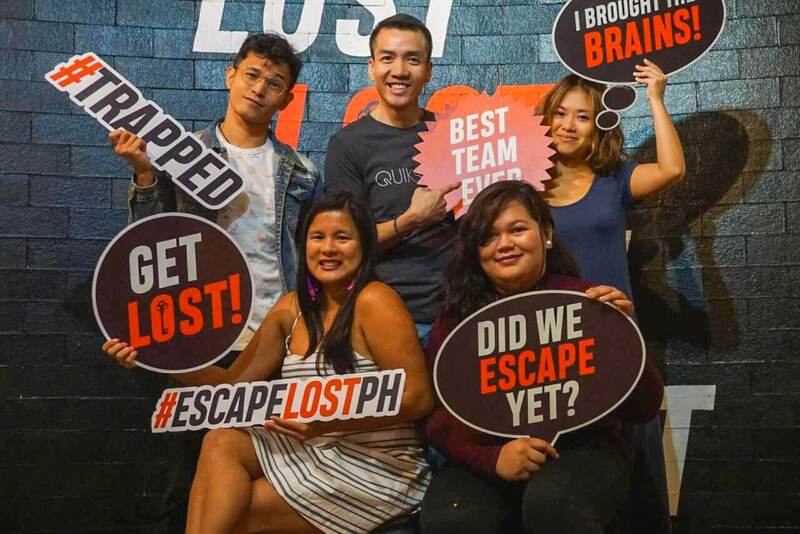 It is also important for team members to know the strengths and weaknesses of each one, so they can know who to pass the baton to when they’ve spent too long in an escape room puzzle. 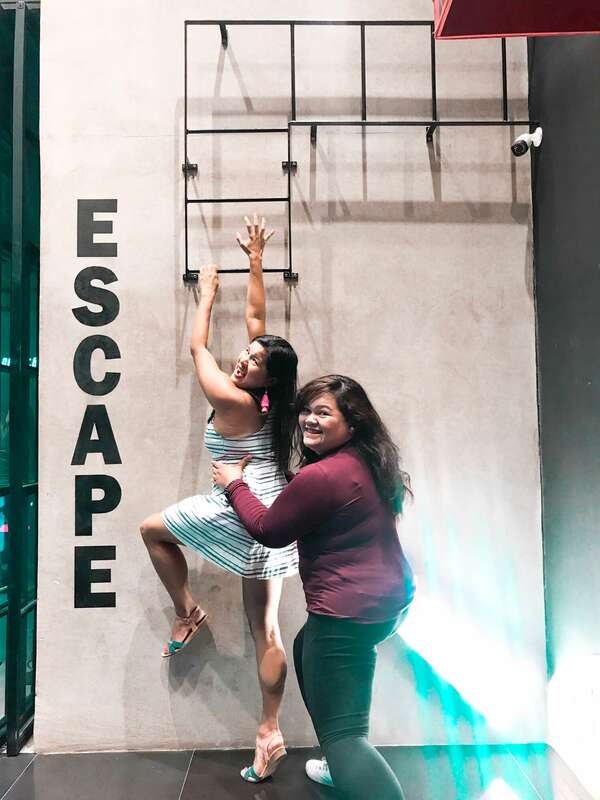 Truth be told, escape rooms are tests of friendship! Arguments over whose strategy is better, or whose answer is right, can be heated. Beforehand, agree on who can stand as an arbiter in these situations (if the majority wins idea can’t come to play) and have everyone agree to accept the decisions with finality. This is just a game, after all, not a matter of life and death! LISTEN TO THE GAME MASTER! There are important clues that may be hidden in what the Lost Philippines game master says. Or, at the very least, the game master may lay down ground rules that could help so you don’t waste your time in futile problems. Have some members of your team focus on what the game master says before and within the game so they can call it out to the group again when needed. For instance, we were too focused on solving the boxes in our cage, when we missed the very first clue our game master said, which was to find an object to open the box. That should have been our first task. 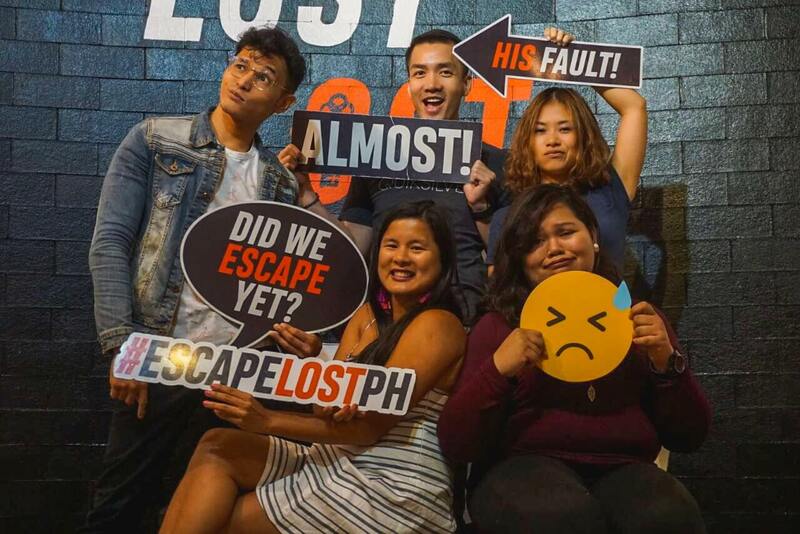 While escape rooms like Lost Philippines can be very hard, some of the puzzles have the simplest solutions. You do not have to decode, compute, or puzzle out every single thing. Sometimes it all depends just on common sense! And speaking of puzzling things out, try being instinctive first in your approach to problem solving. If the simplest explanation doesn’t work out, then move on to the next more complicated one. Keep in mind, too, that not everything is a clue. Understand what is off-limits, and think twice before incorporating a (previously untouched) item into your solution. 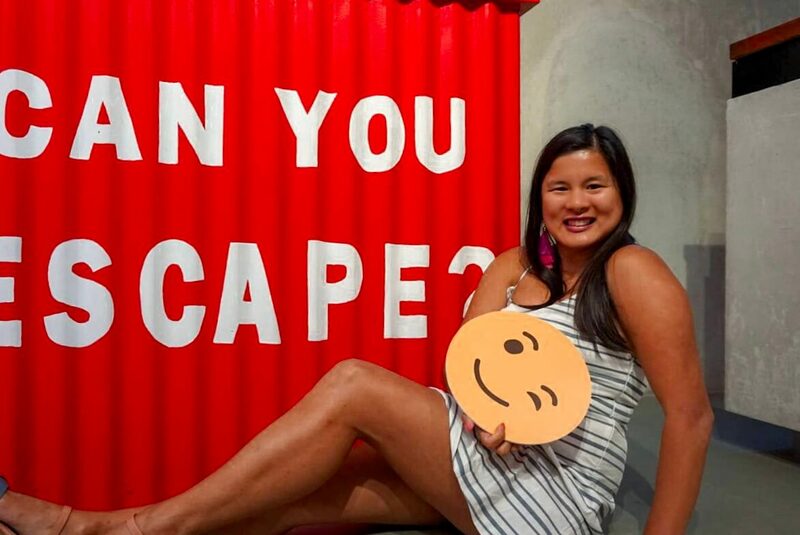 There are also (very select) circumstances in escape rooms when trial and error works. For example, you have a combination lock where only the last number or letter is missing. It might be faster to go trial and error on the last one than to find it from the clue! If you’re lucky, you may even find indentations, scratches, or other marks made by previous players that will tell you you have the right answer. Be careful about attempting this technique when you only have a small number of chances to get the combination right! Relax, and take a step back. It’s possible to become so obsessed about a specific puzzle in Lost Philippines that you’re entirely missing the point. It helps if someone can remind the whole team to relax and take a step back every once in a while, — the answer may lie in the bigger picture instead of the one you have at your hands! Also, relaxing (taking a few deep breaths, etc,) can help reset your nerves and prime your brain for another round of thinking. Take note of used clues. It’s very easy to just run over everything, then have someone else in the team waste time by working out the same set of puzzles and clues again. Clue in everyone on what you find and take mental note on which clues have been used and which puzzles are yet to be solved. Be very careful about moving items away from where you found them, or remember where you found them too, as sometimes they only make sense in the context of where they are found! At least take note of where you found them before moving them. Sometimes, trying to solve something all at the same time, ends up getting no where. So perhaps have roles. Try different things, help each other but give each other a turn. In one of the games, we had to follow the path that the criminals took. Tina was lighting the story, Raina was reading it aloud. Mia, Miguel and I were looking at the board and figuring out what Raina was reading. We helped each other memorize the path. Harvard on the other hand decided to look at the whole room once again, that way when we figured out that puzzle and got our next clue— he already knew what it was or where it was because he had scanned the room while we were all busy. Don’t be afraid of losing! It’s just an escape room game! If everything goes down the drain, you can just rebook and repeat. It’s having fun and enjoying the company that matters most — when you lose those, it’s much harder to hit the restart button. 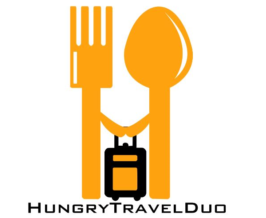 Speaking of booking, it’s highly recommended that you book online for Lost Philippines, through their website. That ensures you have slots waiting when you get there. Go in comfortable clothes and prepare a change as you can really sweat with all the puzzles! It’s also recommended to get there at least half an hour before the game time so you can discuss your escape room strategy and plan your escape well. 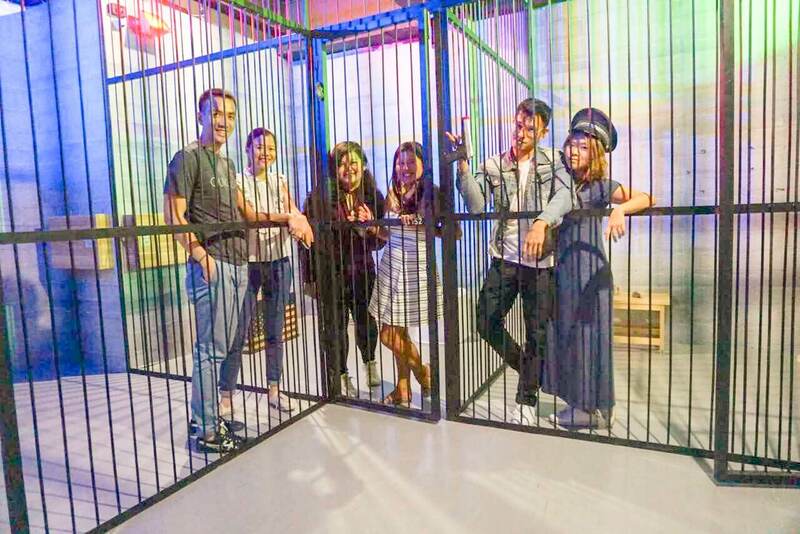 Playing escape rooms don’t require you to be smart (in fact, it’s the smart people who often have problems overthinking!). But you do need to have more than a shred of cunning, and good people skills to work with your team. 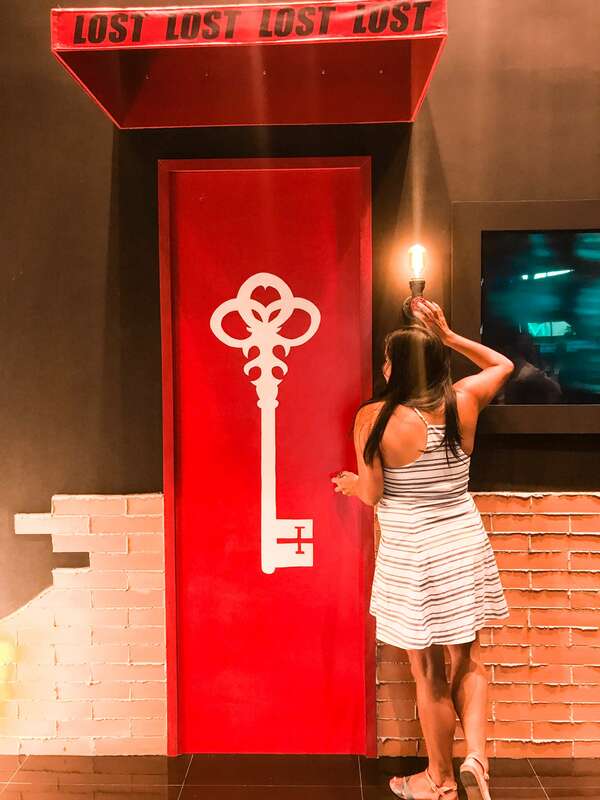 If you’ve never done escape rooms before, trust me — you just HAVE to give it a try! 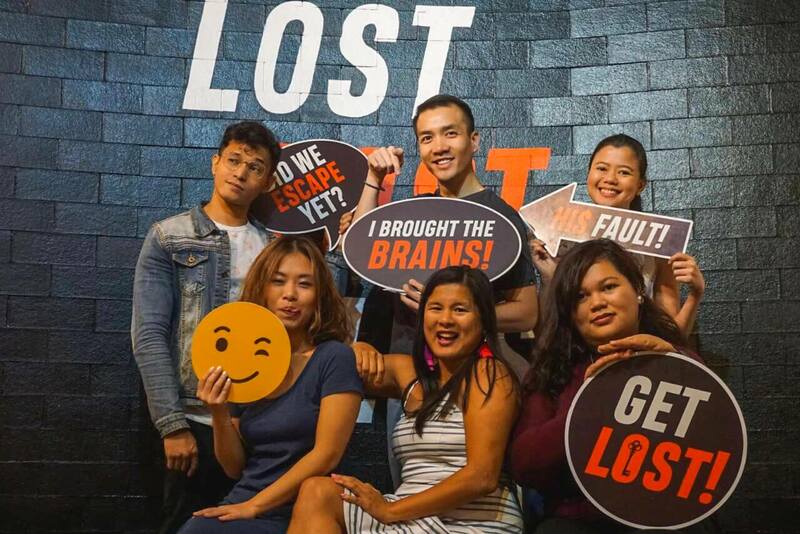 Go to Lost Philippines and test your mettle now! Honestly, Tina and I enjoyed their games so much, we will definitely be back to try out the other games. I was even thinking to bring the #Gorditas here next time. 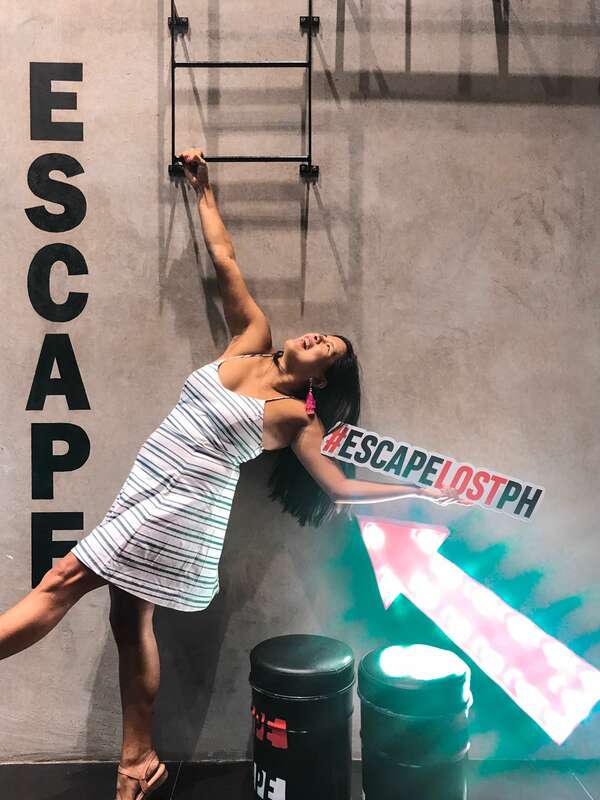 If you want to know more about Lost Philippines, Check out their hashtags #escapelostph. Good Luck! Walk in- However, remember that these are group games so you are not always assured a slot if you just walk in. It’s probably booked so better call first or drop by and check the available time slots. Been here? Share your experience.